People often use the terms tiller and cultivator interchangeably, but these words actually refer to two different tools with two distinct purposes. Using a tiller when it would be better to use a cultivator, or vice versa, would be like using a power mixer to toss salad, or a fork to stir cake mix. Instead, choose the right tool for the job, and you'll be much more efficient. Garden tillers are the creators. 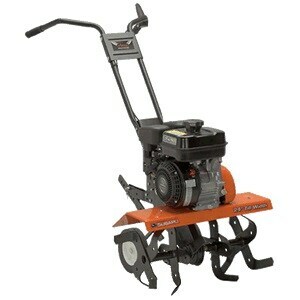 They're strong machines designed for digging and mixing hard soil into a loose garden bed. A third style, the mid-tine tiller, is available but less common among consumers. The type of tiller you choose will depend on the kinds of projects you hope to accomplish with it. They're easier to maneuver than their rear-tine counterpart because their wheels are in the back, which makes turning and reversing your tiller far simpler. Rear-tine tillers tend to be large, which can make them more difficult to push and steer. However, a rear-tine tiller allows you to leverage the weight of the machine for more power. Cultivators churn soil into a much finer mixture than tillers, making them great for putting final touches on your garden plot just before you sow your seeds. 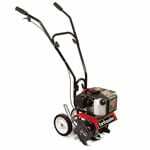 Unlike garden tillers, which are available only with gas engines, cultivators come in gas-powered, corded electric, and cordless models. 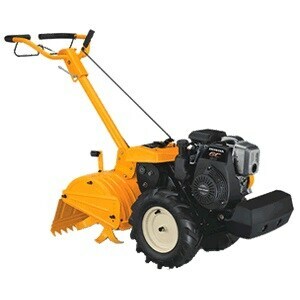 When people use the term "electric tiller," they're actually referring to an electric cultivator. The Difference Between a Tiller and a Cultivator - View Our Breaking Soil vs Stirring Soil. Our rototiller how-to library can help you pick the perfect electric cultivator, gas cultivator, front tine rototiller, rear tine garden tiller or garden tiller accessory.